Page Speed Service: Web performance, delivered. Update 7/29/11: We were notified of a bug in the measurement tool that sometimes causes incorrect measurements. If your results indicated a slowdown on your pages, please run the tests again, and make sure you specify a fully qualified domain such as www.example.com. We apologize for any inconvenience and confusion this may have caused. Measurement tests run for bare domains (such as example.com, without the prefix www) previously indicated that pages were loading more slowly, rather than speeding up, when using Page Speed Service. The test results page now prominently notifies you of this when you visit this page, if this error applies to you. Please check your old measurement results page if this bug applies to you. Running the tests again with the fully qualified domain such as www.example.com usually fixes the issue and gives you the correct measurement. In our testing we have seen speed improvements of 25% to 60% on several sites. But we know you care most about the numbers for your site, so check out how much Page Speed Service can speed up your site. If you’re encouraged by the results, please sign up. If not, be sure to check back later. We are diligently working on adding more improvements to the service. At this time, Page Speed Service is being offered to a limited set of webmasters free of charge. Pricing will be competitive and details will be made available later. You can request access to the service by filling out this web form. Ram Ramani is an Engineering Manager on the Make the Web Faster Team in Bangalore, India. He is a believer in "Faster is better". Join us on August 18th for the Google Apps Script Hackathon. If your organization uses Google Apps and you want to explore how you can use Google Apps Script to create custom functions or automate repetitive tasks, then this hackathon is a perfect opportunity to learn. Google engineers will be available to answer your questions and help you learn Apps Script throughout the day’s agenda. We’ll provide food, refreshments, and experts to help you learn to use Apps Script and write your own scripts. Just bring your laptop, ideas, and enthusiasm to complete the mix. We hope to see you there! Attention, HTML5 developers! Open Call for Google Developer Day 2011 starts Tuesday, August 2 at 9AM PDT. Open Call is an opportunity to showcase your best work alongside developer peers from 8 GDD countries worldwide. Visit us online for a chance to showcase your work and earn a ticket to GDD 2011. The HTML5 challenge launches Tuesday, August 2 at 9AM PDT with 1 week to complete. Submissions are due by Tuesday, August 9 at 5PM PDT and will be judged by regional panels of the most qualified developers worldwide. Judges will select the top 10 HTML5 submissions from each country to be featured online for Google Developer Day. Just a friendly reminder that Open Call is an optional supplement to your GDD application, though you might get extra credit for participating. Want more GDD news? Check out our website as we bring you the latest on locations, sessions, and agendas. Looking forward to seeing you at #gdd11! 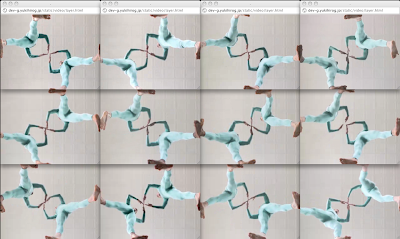 All is Not Lost is a new HTML5 music experience based on a three-way collaboration between the band OK Go, dance troupe and choreographers Pilobolus, and Google. In this music experience, you can embed your message in a music video, and have the band dance it out. The band and Pilobolous dancers are filmed through a clear floor, making increasingly complex shapes and eventually words – and messages you can write yourself. This project principally employs HTML5’s <audio> and <video> tags, along with an event listener to ensure the correct sync of audio and visual components. A challenge, however, was balancing and syncing load, with the potential of too high a load and thus corresponding delays. As a result, we store movies with the <video> tag as a buffer, using the image object in Canvas 2D. The canvas image object allows us to draw the videos in perfect timing with the music and create a smooth experience throughout. 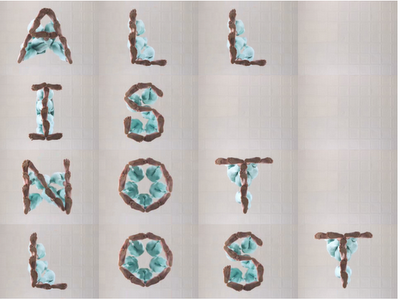 All is Not Lost is best experienced in Chrome -- check it out at allisnotlo.st. History is more fun when you can see it in pictures. Google and non-profit social company We Are What We Do have collaborated to create Historypin, a site that mashes up old photos with modern Street View images. So you can see old Times Square on top of today’s, or a photo of Abraham Lincoln’s inauguration pinned to a current view of the U. S. Capitol. Historypin is made up of user-contributed photos. So go there, contribute some, and make a little history of your own. There’s really no way to introduce this one without just stating it: hey, how about a photo of a tool-using fish? It’s a tuskfish cracking open its food by bashing it against a rock, anvil-style. This might make you think twice the next time you eat crab. Finally, as the U.S. Space Shuttle program comes to an end, take a look at this spectacular photograph of Shuttle Atlantis re-entering the atmosphere as seen from the International Space Station. Nice view. Updated 4:24 PM PDT: corrected location of photo from White House to U. S. Capitol. Over a year ago, we launched support for partial response and partial update for a number of APIs based on the Google Data Protocol. That launch was a part of our continuous effort to make the web faster. It was well received by our developer community as it significantly reduced network, memory, and CPU resources needed to work with certain Google APIs. Today, we are adding support for partial response and an improved version of partial update, called patch, to a number of newer APIs such as Buzz, URL Shortener, Tasks and many others. In fact, all APIs available in the Google APIs Discovery Service and the APIs Explorer now support this feature. To learn how to use partial response and partial update with a Google API, you can see the “Performance Tips” page in the documentation of the Tasks and Buzz APIs. We’ll roll out this page for all of the supported APIs over the next few months, but you can already use the algorithms with all of them today. Given that the full response is around 53KB and the partial response is only 3KB, the data sent to the client is reduced by almost 95%! While the partial response algorithm is unchanged, the partial update algorithm has changed significantly compared to what was provided by Google Data Protocol. We’ve received feedback that the old algorithm was too complicated and hard to use, which prompted us to design something much simpler. The basics remain the same: you can use the HTTP PATCH verb in supported API methods to send partial updates to Google servers. However, the mechanics are different. Adding and modifying data uses the same 'merge' semantics as before. But deleting is simplified; just set a field to 'null'. Of course, the devil is in the details, so please check out the documentation for the nitty gritty. You can try out both partial response and patch algorithms in the APIs Explorer. For partial responses, the fields parameter is available for most methods. In addition, the partial update methods are denoted by .patch in the method name. You can try both the fields parameter and the patch method on the “tasklist” resource in the APIs explorer. If you are using Java or Python client libraries to access Google APIs, you can already ask for partial responses and send patch requests in the code. We are adding partial support to the rest of the Google APIs client libraries over time. As our APIs get more and more use from devices with limited resources, taking advantage of performance optimizations such as partial response and patch is crucial for making your applications faster and more efficient. By using these features in your applications, you are joining us in our effort to make the web faster. For this, we thank you! Let us know of any issues and feature requests by posting to the developer forums of your favorite APIs or by leaving a comment on this post. Happy hacking! Anton Lopyrev is an Associate Product Manager for Google APIs Infrastructure. He is a computer graphics enthusiast who is also passionate about product design. Sven Mawson is a Software Engineer working on Google’s API Infrastructure. He believes well-designed, beautiful APIs need not sacrifice performance. Lauren Hodge (13-14 age group) for a study about reducing carcinogens in grilled chicken. Naomi Shah (15-16) for her project relating better indoor air quality to a reduced need for asthma medication. Shree Bose (17-18), who found a way to improve ovarian cancer treatment for certain patients. Congratulations to the winners and to everyone who participated! While you’re thinking about the great accomplishments of people so young, here’s another fact to make you ponder time in a different way: Neptune has just completed its first full orbit since its discovery in 1846, or just about one Neptune-year ago (that’s a little more than 164 Earth-years). Happy birthday (or something), Neptune. Finally, I’m not sure if Neptune has any creatures that can match this remarkable rainbow toad. This animal was last seen in 1924 (right around half a Neptune-year ago) and had never been depicted in color before. This weekend, consider taking some time to go outside and see what you can discover. Fridaygram posts are lighter than our usual fare. They're designed for your Friday afternoon and weekend enjoyment. Each Fridaygram item must pass only one test: it has to be interesting to us nerds. Over the past year, the web application ecosystem has been growing at an accelerating pace. Faster browsers and powerful web platforms like HTML5 have enabled developers to switch from native code to web based apps. That’s why the Google Chrome and Commerce teams are holding several HTML5 Web App hackathons around the United States in early August. This is a great opportunity for developers to socialize, network, and play with the latest web APIs. During the hackathons, we'll cover the end-to-end process of developing an HTML5 application, publicizing with Chrome Web Store, and finally monetizing with In-App Payments. In true hackathon style, participants will have the opportunity to create teams and work on a project together. At the end of the day, participants will present what they have created, and vote on the best apps or games. And of course we’ll have some awesome prizes for the winners. We’re looking forward to seeing the applications and games you build! Mihai Ionescu is a Developer Advocate at Google helping developers build compelling applications using open web technologies. In his free time, when not skiing in the Sierras, Mihai enjoys traveling and exploring the great outdoors with his family. The idea of Google Web Fonts is one of those things that makes you say “of course!” once you hear about it. Google Web Fonts are stored remotely and loaded via HTTP for use on your web pages, so you don’t have to wonder about which fonts are installed on users’ machines. Using a web font is easy: add a <link rel="stylesheet"> tag to specify the font you want, then add styles to your CSS that use the font. In the Choose step, check out the available fonts and choose from among them by looking at whatever text you want, in any size. You can search for fonts by name, filter by category or thickness, or look for fonts that support specific scripts. After you pick one or more fonts, use the Review step. This step includes a Test Drive feature to see your chosen fonts in a sample layout. Finally, you’ll see a nice speedometer that shows you an estimate of loading time for your selected fonts, and you’ll also get the necessary code for adding the fonts to your pages. From beautiful fonts to beautiful art: this week we announced that Google Goggles now knows all about the permanent collection of the J. Paul Getty Museum in Los Angeles. When you use Goggles on your phone to view a painting, you’ll get details and audio commentary about the work you’re looking at. Finally, here’s a tale of danger in space: the crew of the International Space Station temporarily evacuated into docked capsules this week when a piece of space junk got a little too close to the station. That’s a story you don’t hear every day; in fact, the last time it happened was in 2009. Stay safe up there!